If you’re a footy fan, you already know that the internet is flooded with football predictions by the industry’s best experts or, you know, regular punters. As the most popular sport in the world, football has a large base of fans – we’re talking about hundreds of millions. 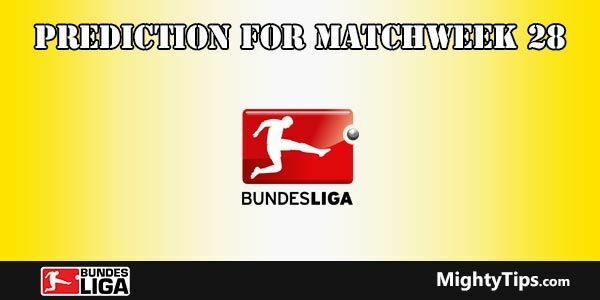 You can get football predictions today or tomorrow for any match in the upcoming days. The main part of all is that you can get best betting tips today for absolutely nothing. Bet365 is the most popular online sportsbook in the world and has millions of members from different countries. 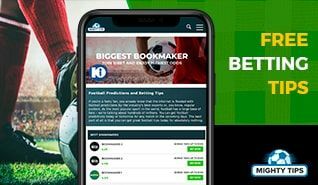 The range of football markets on offer is second to none, plus you’ll also find plenty of other sports too, including horse racing. The sign-up bonus is a superb one, giving new players the perfect welcome to the site, while customer service and banking are both handled professionally. Betway has a reputation for being one of the best online sportsbooks around. Since bursting onto the scene way back in 2006, it has managed to gather a huge pool of eager punters. These punters come for one main reason: to bet on the massive range of sports markets this site manages to offer. They also come for the weekly free bets, as well as the very attractive welcome bonus. If you want to hone your punting skills and make sure your tips are a sure-fire winner, following football betting tips is a must. In the glorious game of football, anything can happen. There are numerous outcomes of a match. Apart from each team winning or the game ending in a tie, there are numerous markets in football you can bet on, many of them featuring pretty great odds. 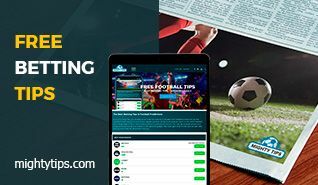 Free football tips can be found online anytime, and by following the opinions of expert punters, you can become a pro pretty quickly. 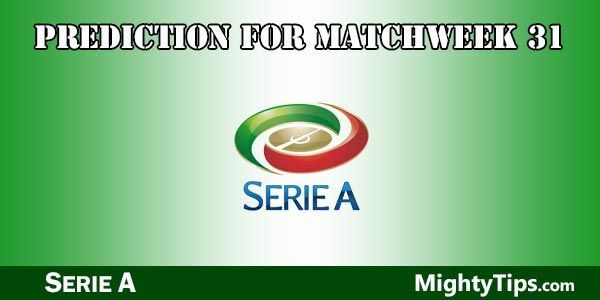 Today’s mighty tips might bring you a great return, as can tomorrow’s football predictions. 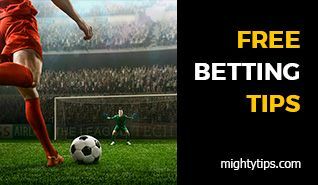 Start following football predictions today and trust us – you’re going to learn how to get better at football betting in no time. Below you can see a few football betting tips that will help you learn how to bet like a pro quickly. If you’re not a fan of football, don’t bet on it. It’s as simple as that. Football betting requires great knowledge of the sport. There are many leagues you can bet on at bookies and don’t let us get started on the markets – there are thousands. This is why you need to know the sport inside out before you search for top free football tips online. Plus, if you don’t know a thing about football, those football predictions you can get anywhere these days won’t even make sense. Repeat After Us – the Favourite Doesn’t Always Win! 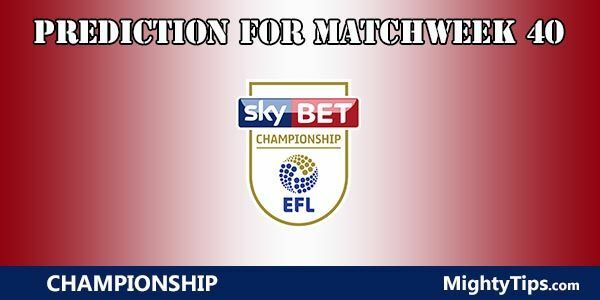 If you’ve ever placed a stake on a football match, you know that the favourite is never the obvious choice. Their odds are usually not very attractive as well. The difference in quality is sometimes too big for bookies to give the major favourite great odds so you can strip them of cash. There have been countless cases where football giants have been slain by far smaller teams. Remember how the battle of David and Goliath ended? Big clubs are human after all and they can lose just like everyone else. No matter where you get your football tips today, tomorrow or in the future, know that favourites slip up as well. If you play your cards right, you can profit off it since the underdog odds are often sky high. Whenever you want to bet on football, shop around first. Don’t stick to one bookie or search for the best football predictions at one site only. There’s a chance they aren’t the best at all. See what the others offer first, then make a decision. The grass may really be greener on the other side. Odds-on prices may look great at the beginning of a World Cup, for example. You’ll probably find top football betting tips online where experts recommend clumping all the favourites together. Even if that looks attractive to you, you’re essentially fighting for nothing more than scraps. You’ll earn next to nothing if you put all the favourites on a slip in the first round, and if you’re unlucky, you can even lose it all. 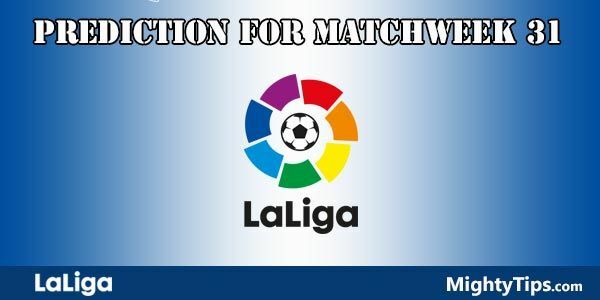 Football predictions today from top experts have a tendency of recommending markets such as goal betting and the likes. And, although we have to agree that popular markets might have great odds, the less obvious markets are where the mighty tips lie. You stand of earning much greater sums of cash in lesser-known markets, but you also need to understand what they represent as well. Today’s football betting tips won’t look like much if you don’t know what handicaps are. Just do your research before putting your money down – it will definitely make you a better punter. Well, for football betting at least. Yes, we understand that you’re a big fan of some team, and you want them to win that derby so much. But it doesn’t change the fact that they might still lose. The best football betting tips experts never recommend a straight out favourite, especially in close matches. They know that punters often go with their heart instead of their mind, which won’t make you a winner. There are many mighty tips that obviously look great, but before putting them on your slip, make a decision with your head, not your heart.